We have found 156 items matching your search query. Crossover Ladder, Vertical Clearance 54 In., Span 24 In., Platform Height 56 In., Platform Depth 33 In., Number of Steps 7, Load Capacity 500 lb. Crossover Ladder, Vertical Clearance 38 In., Span 36 In., Platform Height 40 In., Platform Depth 44 In., Number of Steps 5, Load Capacity 500 lb. 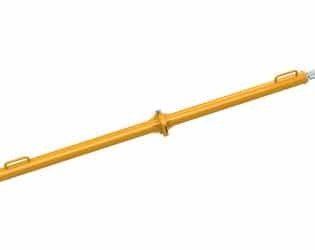 The original crossover ladders were designed to help workers safely cross over a conveyer belt assembly system. This allowed work to continue uninterrupted without placing the health of workers at risk. Today's crossover ladders are designed on this original principle, but built to work with your specific environment. The potential of what a crossover ladder can do is almost limitless. Here are just some of the ways you could put this innovative equipment to work in your yard, workshop, or warehouse. You can help workers avoid obstructions. Sometimes there are items you just can't move in a work area. Instead of forcing workers to climb over these obstructions, the crossover ladder allows them to quickly and safely continue on their way. You can access areas that are hard to reach. Crossover ladders can also help workers reach certain places that may be difficult to access. Various sizes are available so that you can have the height and/or clearance space your work area requires. You save space. You can't move your equipment. You don't have much space either. Crossover ladders will improve your pedestrian walkways with a minimal footprint so you don't have to choose between productivity or movement. 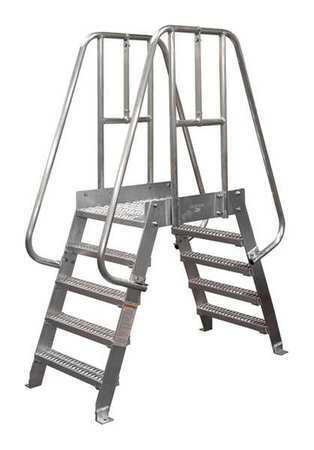 There are multiple designs available today for the modern crossover ladder as well. A fixed ladder will improve pedestrian walkways when a permanent solution is required. Portable ladders make it possible to adjust to temporary work site changes as the contracts change. Rolling platforms provide a portable solution that is incredibly easy to move around the working area. Improving worker safety is an investment that is always worth making. 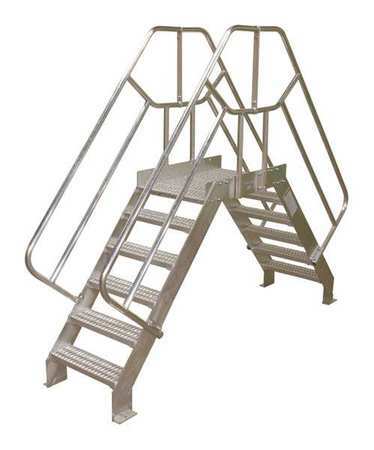 Our crossover ladder options will make sure you have the walkways you need, the worker access you require, and at a price that fits within your budget. Contact us today to discuss your needs and together we will find the right solution to promote worker safety at your location.